you make your community safer"
We want you to join our growing team of re-sellers bringing our outstanding product to POLICE, MILITARY, MARTIAL ART, SELF-DEFENSE AND PRIVATE TRAINING ORGANIZATIONS around the world. High Gear has been around since 1993. It was and is the cutting edge training suit for defensive tactics and combatives. High Gear revolutionized hand-to-hand training for the military, it has had the same impact for defensive tactics that Simunitions had for force-on-force. including PRICING, SIZING, ORDERING and more. Muzzle strike to the face with our first working model. High Gear was designed in 1988 by Tony Blauer. The gear took 5 years to design, refine and bring to market. The first order that helped launch the brand was by the US Navy Advanced Combat Training Group in Coronado, CA. Over the years High Gear has made its way into major training organizations like FLETC to the best MMA gyms like Randy Couture's Extreme Couture, Greg Jackson, Joe Lauzon, Urijah Faber, BJ Penn and more. Who else uses High Gear? Click for partial list. *As a Re-seller, you may use our photos on social media to help promote the gear. We just ask that your posts are clear and they tag us properly. 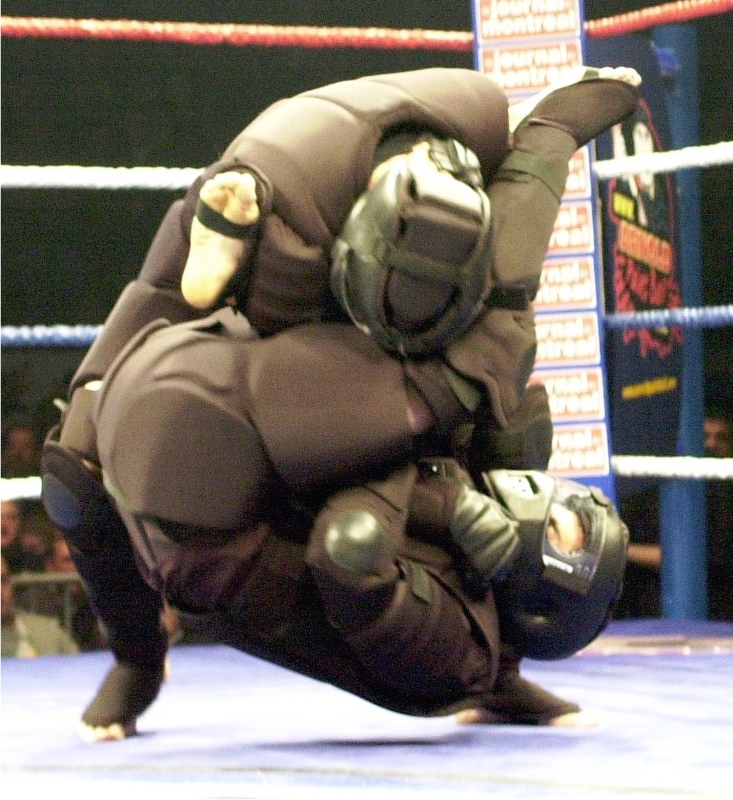 The US Army conducted extensive testing for its combatives course over a two year period, and selected High Gear above all other brands and subsequently ordered 7,800 High Gear suits to support the Army Combatives program. This earned High Gear the coveted NSN number for military orders. If you have military clients we can get them competitive pricing too and we have a relationship with a prime vendor to offer TLS purchases if that's the preferred route. High Gear has been purchased by thousands of police agencies, public training facilities, military units and DT & combatives trainers for over 30 years. Our gear is used at every level: local, state and federal from FLETC to DHS & everyone in-between (click here for link of partial list). We are made in the USA and stand by our product. There's no need to inventory the gear either! We will drop ship. *The transport bag is sold separately. Click here to request current pricing - please identify yourself in the email as a re-seller. High Gear is designed to fit snug and securely to the role-player. High Gear is a hand-crafted product that is made in America. It can take 3-4 weeks to manufacture and ship depending on the quantity you are ordering, time of year, and current demand. If you need the gear sooner, please advise ASAP and we will look RUSH ORDER options. Depending on demand we can get your gear usually within 3 weeks. If your demand grows you can always opt to keep a few in stock. We will support you with video and email ideas so you can stay current with your clients if you have a newsletter. We will help you close sales too! If you have a client that has questions you can't answer, we will! You still get the sale. Payment must be made in full prior to processing order unless terms have been agreed to with us. We prefer wire transfer or credit card. For orders of 10 or more suits, a 50% deposit is required. Overseas orders must be prepaid prior to shipping. Name: Blauer Tactical Systems, Inc. 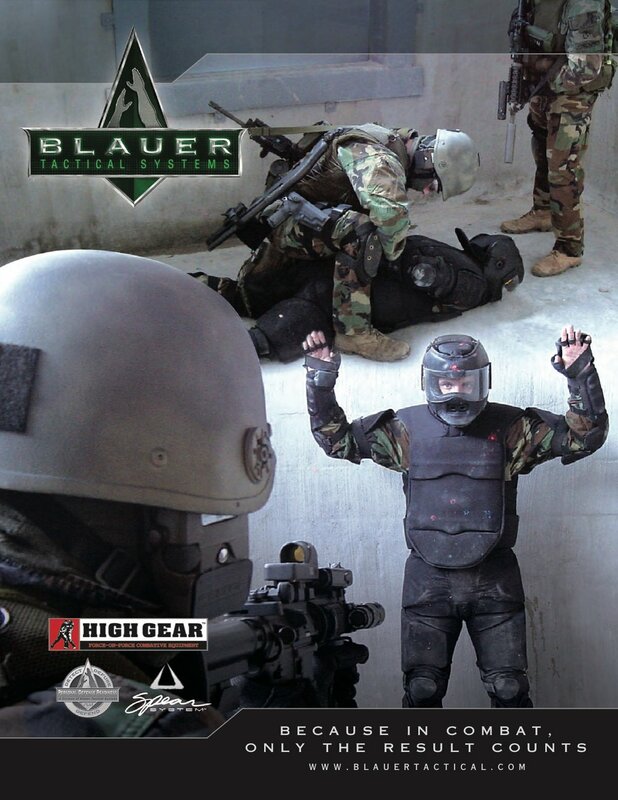 Please contact accounting@blauertactical.com if you have any questions. We do not inventory the gear - we are ordering it for you. If for any reason you decide to cancel the order once we have started the manufacturing process there will be a $50 cancelation fee. For hygiene and other health and safety reasons we cannot accept any merchandise that has been worn, washed, modified, or damaged. Blauer Tactical Systems, Inc. warrants its products to be free from defects in materials and workmanship for 90 days from the date of purchase, provided the products supplied have not been subject to accident, alteration, negligence, abuse, or misuse. We will repair or replace any merchandise deemed to be defective. The video was made a year after Blauer Tactical ran the Singapore Police trainers through several custom courses from SPEAR System Essentials to our BMF Scenario Training and our PSD drills. We created specific scenarios for their AO. You'll immediately recognize our High Gear, and if you understand the foundational principle of the SPEAR System - fingers splayed/arms outside 90 - you'll see it used to counter every ambush in almost every contact drill. The proactive version of the SPEAR tactic is then applied to their crowd penetration scenarios. "The BMF formula can adapt to any training scenario, system and in any environment. Performed correctly, it incorporates pain management, impact threshold drills, reaction time principles, pre-contact cue development and improves combative spontaneity and much more.” Click here for a full explanation of the BMF system. Think you can set up training? Let's jump on a call to discuss our program. We can help reduce injuries in training and in the street. An independent study conducted in the UK, showed a 43% reduction in head trauma during street altercations after just one 8-hour training day of the SPEAR System. That substantial reduction in head trauma directly impacts everything, from officer safety to department liability.